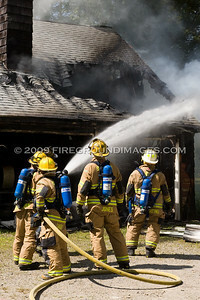 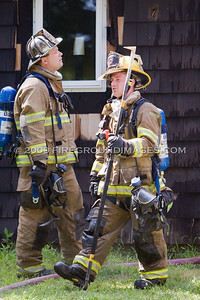 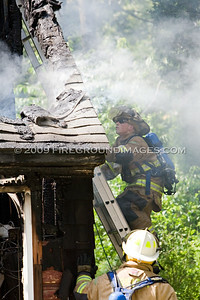 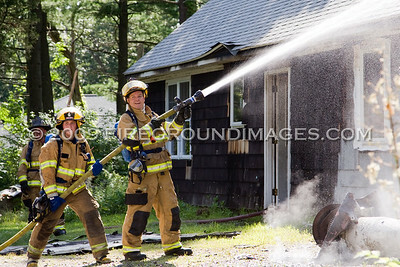 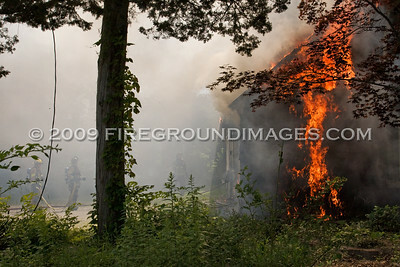 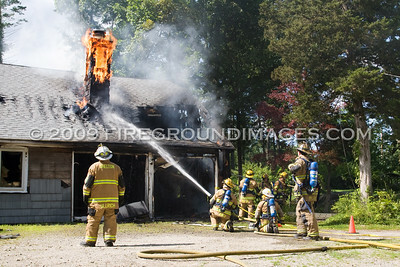 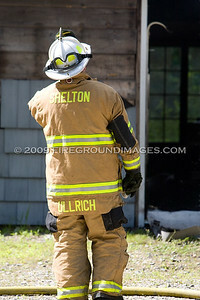 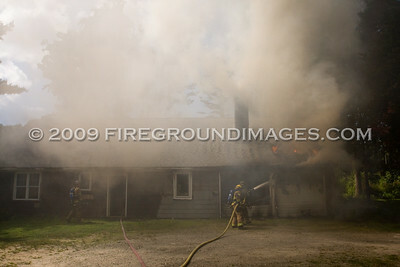 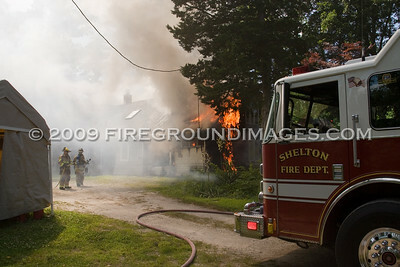 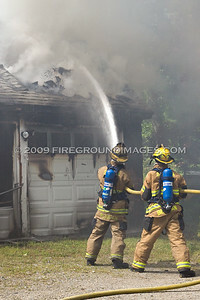 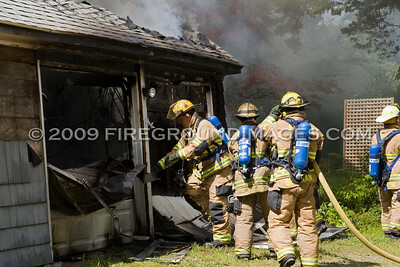 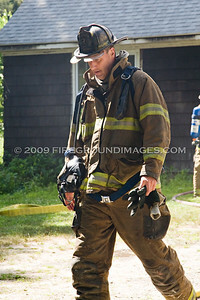 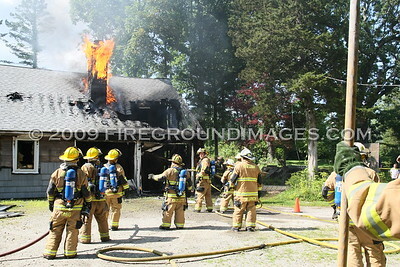 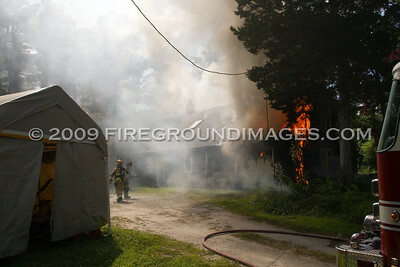 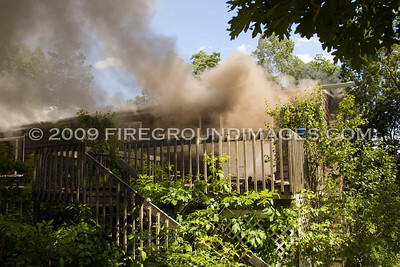 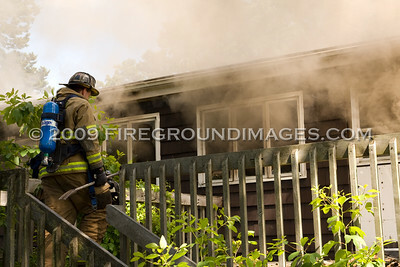 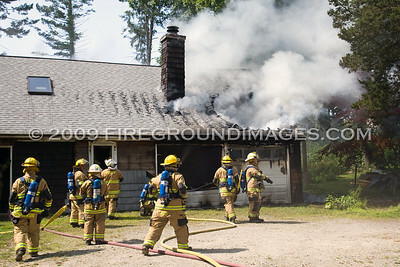 SHELTON, CT – At approximately 3:00pm on July 14, 2009, the Shelton Fire Department was dispatched to 82 Soundview Avenue for a report of 3 structures on fire. 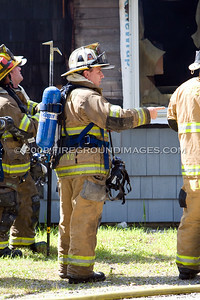 First in units found only one building to be involved. 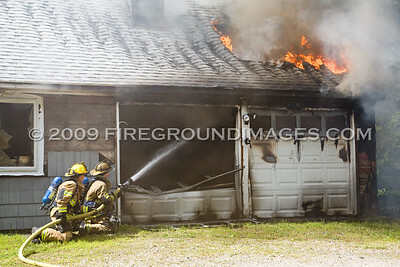 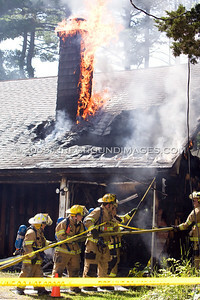 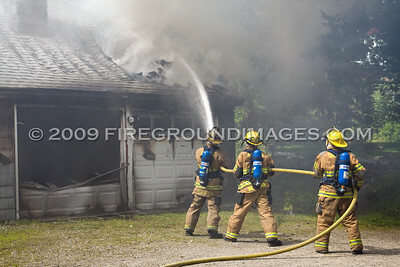 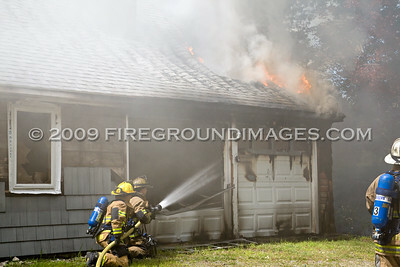 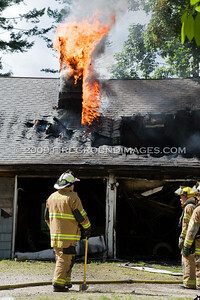 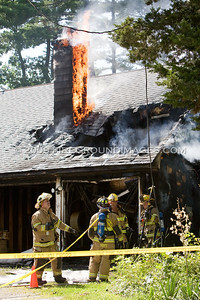 The ranch style house had heavy fire in the garage area that had already burned through the roof in that area. 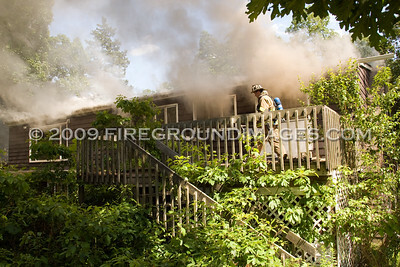 Firefighters quickly entered what appeared to be an unoccupied residence and started to work on the fire. 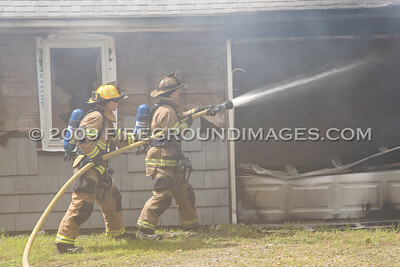 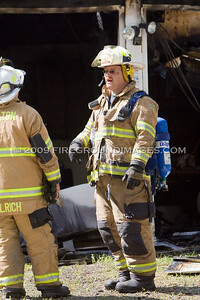 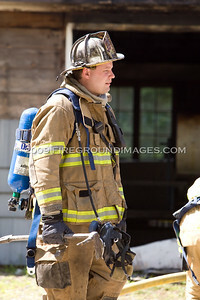 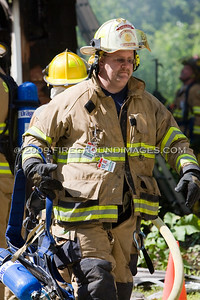 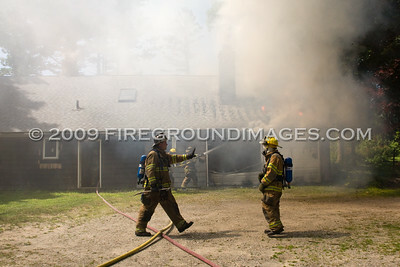 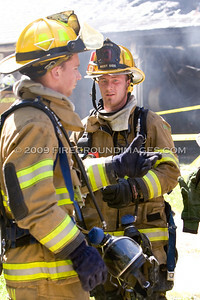 Mutual aid was received from the ARMS Light and Air Unit. 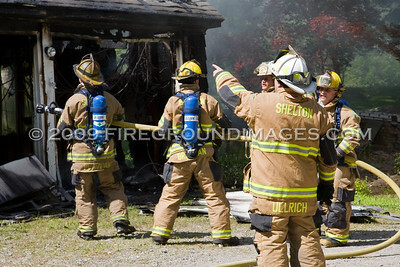 Derby, Trumbull, and Monroe were also called in for station coverage.